Von der Heyden is the principal investigator for marine research in the Evolutionary Genomics Group at the University of Stellenbosch. To date, she has published 47 papers, has an h-factor of 19 and has trained over 30 students in marine molecular ecology. In addition to being elected as a TWAS Young Associate, she has also received a Senior CV Raman fellowship to carry out research collaborations in India and was nominated for a PEW fellowship in ocean conservation. At Stellenbosch University she has been recognised twice in four years for excellent performance as a researcher, as well as teaching by receiving the Rector’s award. 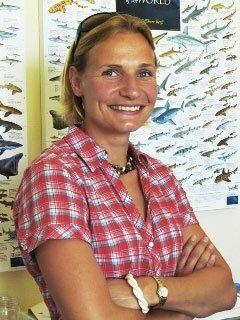 Her work, especially on the integration of genetic data into marine biodiversity and protected area planning has gained international recognition and Sophie has been invited to numerous local and international meetings as a speaker and to participate in workshops. From 2016 onwards she will act as the Steering committee chairperson for the South African Network for Coastal and Oceanographic research.